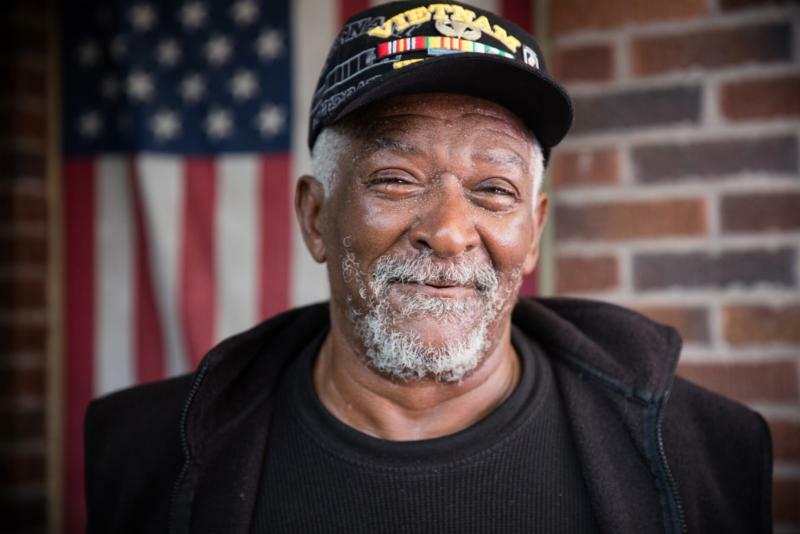 Read about upcoming events, new funding, our Veterans Build and a poem written by our partner family. 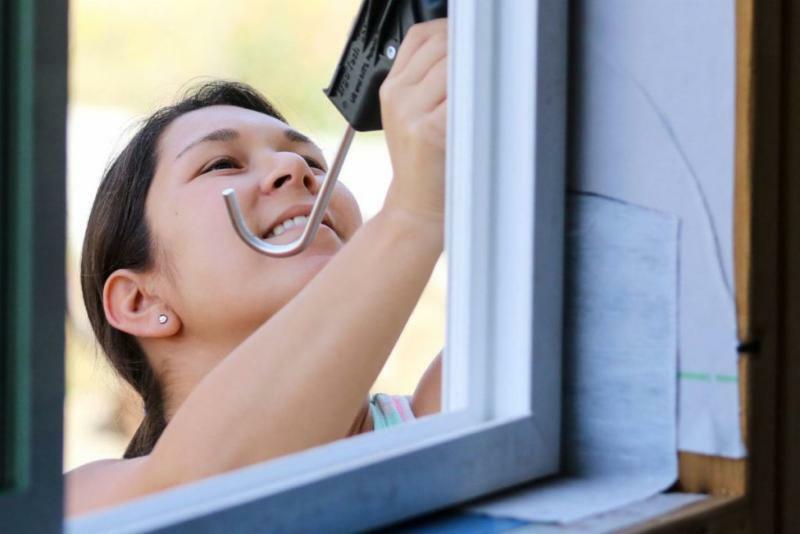 Here is your quarterly update on Habitat for Humanity of Snohomish County for January through March 2019. A Habitat Snohomish homeowner's daughter, Kristin Bakker, shares her story in a short video. Big news about big funding! 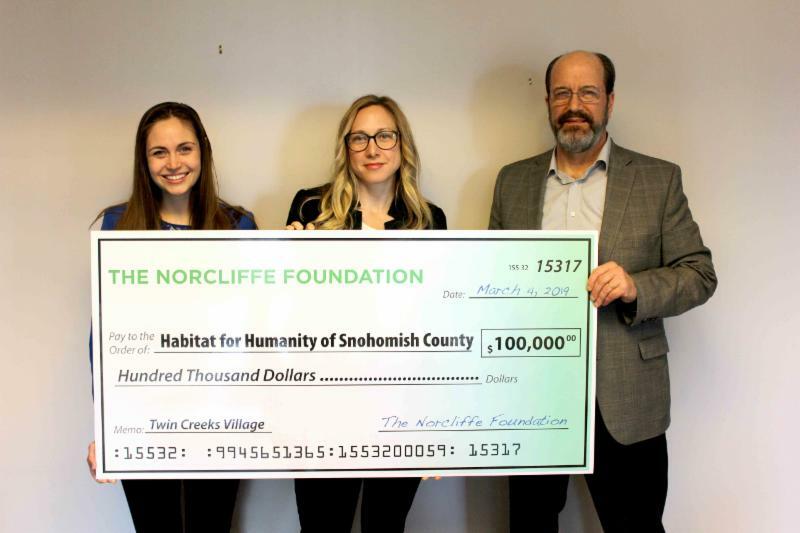 In March, the Norcliffe Foundation presented Habitat Snohomish with $100,000 of their $400,000 pledge designated to support our Twin Creeks Village project. The Norcliffe Foundation will award the three remaining installments annually. Their support makes the dream of homeownership a reality for 25 families at Twin Creeks Village by 2023. The Norcliffe Foundation is a private family foundation established in 1952. Their mission is to improve the quality of life for all people in our community. We are extremely grateful for their support and partnership! Pictured right: Norcliffe Foundation Manager Jennifer Beatty (center) presents a check to Habitat Snohomish Executive Director Roger Johnson (right) and Resource Development Manager Mellay Gardner (left). Calling all veterans! Make an impact this Memorial Day Weekend by contributing to the construction of a modest two-bedroom home for a family in Gold Bar. No experience is required and half-day shifts are available. A complimentary lunch will be served. Internationally recognized artist Michael G. Reagan and Gold Star Family member Jessica Hebert are the featured speakers for the luncheon. Visit habitatsnohomish.org/veterans-build for more information. If you are a veteran dreaming of owning your own home, this class is for you! Learn how to set realistic financial goals and understand the costs. The seminar is free, but registration is required. Find out more about this class at habitatsnohomish.org/veterans-build . .
Women Build provides an opportunity for women to empower families by building a safer and more stable community. Join us for a weekend of home construction in an inclusive and supportive environment. 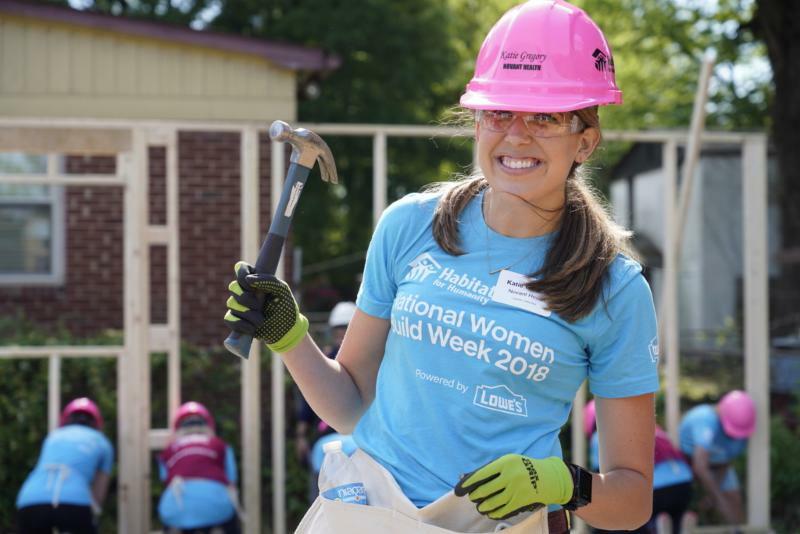 Snohomish County Women Build days are Friday and Saturday June 14th and 15th. Email Shelby Brewster sbrewster@habitatsnohomish.org to register. Save the date and help Raise the Roof! Our fourth annual breakfast is Friday, October 18th from 7 a.m. to 9 a.m. Admission is complimentary. Volunteer, table captain and sponsor opportunities are available and we would be delighted to have your participation. For more information, please contact Mellay Gardner at mgardner@habitatsnohomish.org or (234)567-7348. We accept small and large donations of new or gently used furniture, appliances, housewares, building materials and more. The proceeds from these donated items sold in Habitat Stores help fund Habitat Snohomish’s mission. By shopping, donating and volunteering at one of the three Habitat Stores in Snohomish County, you are part of a local movement dedicated to ensuring everyone has a decent and affordable place to live in our community. Thank you to Division 9 Flooring for their continuing partnership making large donations of new flooring merchandise to our Habitat Stores. Their donations generated more than $6,000 of sales revenue for our stores to date this year. Our new store in Smokey Point will be opening soon! With 12,000-square-feet of retail space, it will be the largest of our three stores in Snohomish County. You will find a wide variety of building materials and home improvement items at a fraction of the retail cost. Watch for our grand opening celebration announcement and store updates on Facebook and our website! 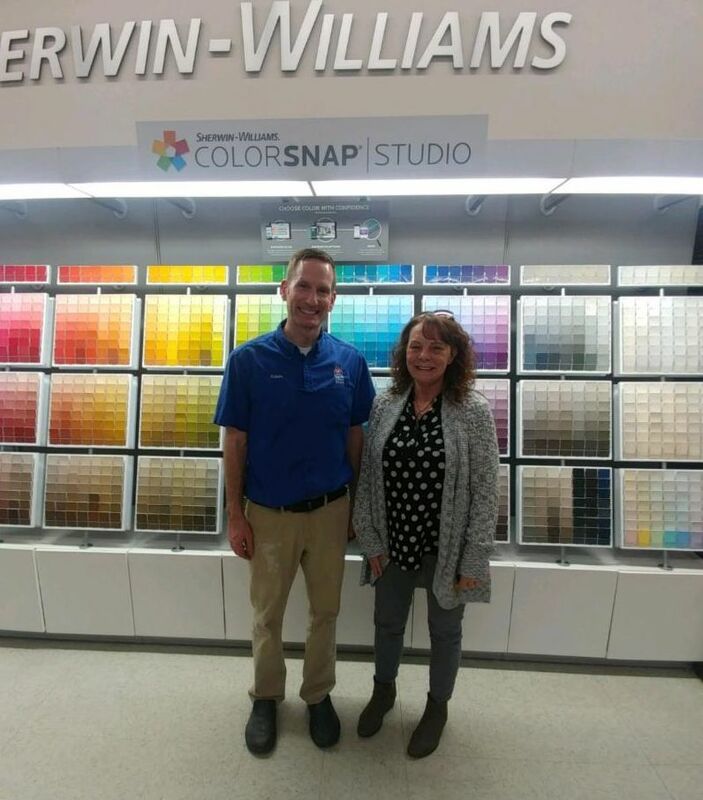 Special thank you to Sherwin-Williams in Arlington for donating 40 gallons of paint for the interior construction of the Smokey Point Habitat Store. To help store operations get off to a smooth start, we also welcome donations of supplies through Amazon. You will find our wish list here . The construction team at Habitat provided the above image of the Gold Bar Veterans Build floor plan. We expect to receive permits and begin our Veterans Build in Gold Bar April 16th. After a few permitting setbacks, we are anxious to begin! With the help of volunteers, we are building this approximately 1,000-square-foot, two-bedroom home on a large property behind May Creek. While the partner family has not yet been chosen, the selection process is ongoing. Several groups signed up to volunteer on-site including veterans and military groups and our home build sponsors. A special thank you to Wells Fargo and Coastal Community Bank for sponsoring the Gold Bar Veterans Build. 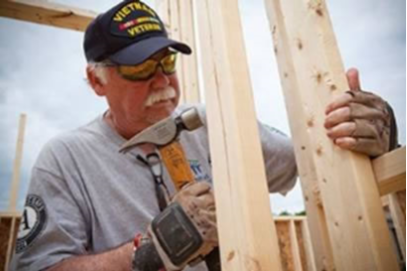 Several build days are available in July and August for home build sponsors and veterans/military groups. If you’re interested in organizing a group build day or would like to provide lunch for volunteers, please contact volunteer@habitatsnohomish.org . Sandy Flores (pictured below) shared the following poem that she wrote, inspired by Doctor Seuss. Sandy and Ray Flores and their three children are our 2016 partner family. sorry guys, kids will be kids, what they do best is ROAR! it was hard to live in a decent place, I gotta be honest, sometimes I wanted to BAWL. Not having to constantly say WatZUP!? We were desperate and found a great OPPORTUNITY.